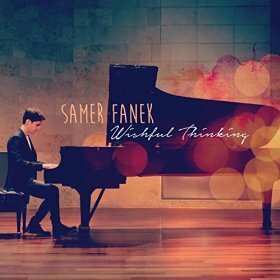 Wishful Thinking is the debut album from pianist, composer and arranger Samer Fanek. Drawing upon musical styles ranging from classical to rock, Samer’s influences include composers such as Yanni and Nobuo Uematsu (who scored the Final Fantasy series), as well as hard rock bands like Dream Theater and Muse. Comprised of thirteen tracks spanning forty-seven minutes, Wishful Thinking conveys a central theme of having romantic hopes and dreams, which ultimately give way to mournful remembrances until eventually moving on. The title piece opens with gentle piano and light synthesizer that are soon followed by a fuller orchestral arrangement. Romantic and emotionally tender, additional musical elements soon gather up into the fold. The next piece, “Universe”, bears subtle rock nuances with a hint of exoticism, as piano and strings are set to a steady drumbeat, lending powerfully bold expressions to the composition. Soft piano and chimes open up “Freefall”, a distinctively neoclassical piece that soon morphs into a dramatic and sweeping composition full of colorful strings and symphonic drums. “Lost Waltz” is an especially notable composition which conveys an element of intrigue, as fluttering piano and synthesized voices are set to a waltzing pace. One can easily imagine a lone couple dancing to this reminiscently romantic tune, along with the rising and falling nuances of its neoclassical orchestration. The melancholic “Left Behind” is another particular highlight full of multi-layered strings, as a lead piano melody seems to convey a pining for love that has been lost. The two-minute “Remember Me” is a wistfully lovely interlude-like piece, with its elegant strings and slower-paced stanza lending a moment of pause. Closing out the album is the aptly-named “Finding Closure”, another personal favorite that hints of finally letting go. Beautifully bittersweet, twirling piano and airy synths soon give way to cinematically swelling strings, before winding down with tip-toeing piano notes that signal the curtain has closed. This review was originally published on Journeyscapes on 07/29/16. 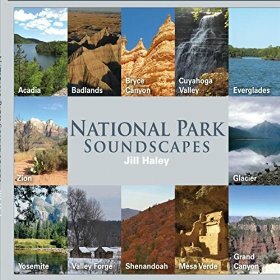 National Park Soundscapes is the fourth in a series of albums inspired by national parks of the United States from Jill Haley, an award-winning composer, pianist, oboist and English horn player. Comprised of twelve compositions spanning fifty minutes, she is joined throughout by David Cullen on guitar and bass, Tony Deangelis on percussion and snare drum, Dana Cullen on horn, and Graham Cullen on cello. An accompanying photographical booklet details the various landmarks across the country, from which each composition’s theme and title draws its inspiration. Located in Ohio’s Cuyahoga Valley National Park, “The Ledges” is named for its ancient sandstone formations inside a hemlock forest. This leisurely piece opens up slowly with gentle piano, followed by English horn and subtle percussive elements. Possessing a soothing, solemn sound, Jill’s horn is subtly contrasted by the fluidity and lightness of her piano. The more uplifting “Prairie Grass Dance” follows next, a piece named for South Dakota’s Badlands National Park. Characterized by acoustic guitar and horn, the piece moves along at a rhythmic pace while exuding a distinctly Americana feel, as the guitar-strumming and upbeat melody captures the exuberant warmth of a sunny day. My favorite composition is “Waters of Acadia”, which is named for Maine’s glorious Acadia National Park. This piece begins with the gentle sound of a rainstick followed by softly cascading piano and glistening chimes, which collectively mimic the flow of water. A stunning piece that captures the enchanting array of colors characteristic of Northeastern terrain, extended horn notes and a repeating piano riff throughout lend themselves to the composition’s rejuvenating, tranquil atmosphere. Located in Virginia is Shenandoah National Park, for which “Shenandoah Stillness” is named. This notably earthy piece opens with a bold piano melody that resonates richly throughout, as interwoven acoustic guitar provides an added dimensional layer to the composition. Named for the giant redwood trees of Mariposa Grove that are located in California’s famous Yosemite National Park, “Mariposa Sanctuary” captures its picturesque beauty. A lilting piano melody opens this piece, which is eventually joined by horn and oboe, as one can easily imagine taking a stroll through the park’s mountainous and thickly-forested terrain. “Waves of Wind” is another notable piece that deviates slightly from the other compositions. Inspired by Utah’s Bryce Canyon National Park, piano and oboe are set to a waltzing rhythm, as cello and twangy guitar add a drier element to the composition. Moving along at a galloping pace, this piece brings to mind that of horseback riding along rugged terrain, as its musical elements perfectly capture the region’s arid climate. Closing out the album on a somewhat somber note is “A Soldier’s Sacrifice”, a piece inspired by Pennsylvania’s Valley Forge Historical Park. Led by the marching pace of a snare drum along with sparse piano and English horn, the composition’s distinctly patriotic tone makes for a most fitting conclusion. This album is available at Amazon, iTunes and CD Baby. Review originally published on Journeyscapes Radio on 07/27/16. 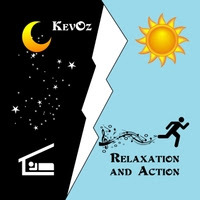 Relaxation and Action is the fourteenth album by electronic keyboardist and Chicago-area resident, Kevin Osborn, who releases his works under the name KevOz. Having composed music for over thirty years, he’s been profiled in Keyboard magazine and his Christmas music has been featured in Tokyo Disneyland’s Tomorrowland. Comprised of fourteen songs spanning fifty-seven minutes, Relaxation and Action is his first release in seven years of electronic instrumental music. “Victory at Hand” is a buoyant and vibrant opener that moves at a traveling pace, with prominent bells providing the lead melody over an infectious rhythm and bassline. Bearing hallmarks of both Jean Michel Jarre and Mannheim Steamroller, one senses they’ve traveled back in time to the set of a 1980’s fantasy-adventure movie. Continuing in this vintage electronica motif is the aptly-named “Waves of Nostalgia”, which enters the stage with groovy tapping percussion, cinematic bells and a sprinkling of chimes. This piece reminds me of winter time, with its whimsical wonder bringing to mind a magical toy land. “Bongos in Flight” is one of my favorite tracks on the album, where spacey chords, airy piano notes and gentle tribal percussion exude a dreamily drifting essence. One particularly amusing track is “Epic Space Cola”, possessing a curious title that was likely inspired by Ray Lynch’s popular 80’s piece, “Celestial Soda Pop”. Beginning in a similar mode to the Lynch tune with its digital bleeps and blips, the song eventually gives way to a space-age motif full of rhythm and energy. Kevin seems to have injected a bit of quirky humor into this arrangement, which he undoubtedly had much fun composing. “Just You and Me” is another highlight, where dreamy piano and violin amidst a leisurely bass-laden tempo convey the carefree relaxation of swaying in a hammock on a summer afternoon. I’m also especially fond of “Magic Wand”, another atmospheric and spacey piece characterized by synthesized flutes and windy gusts with a wonderfully vintage appeal. “Zentronica” is another honorable mention for its East Asian nuances and distinctive techno flavor. This bouncy and colorful, faster-paced tune reminds me somewhat of a Cirque du Soleil performance. “Yoga Worship on Mars” is another favorite, albeit its title was probably intended to be taken in jest. Encroaching synthesizers and spacey chords slowly gain momentum on this exploratory composition, as if moving towards a sci-fi destination. “Purple Hearts” rounds-out the album in a spacey electronic-rock motif, making for an overall celebratory and cinematic conclusion. 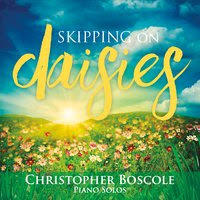 Skipping on Daisies is the tenth release from versatile pianist and composer Christopher Boscole. Comprised of fourteen compositions spanning seventy-six minutes, the album’s musical essence is perfectly captured by its accompanying brightly colored artwork, which depicts a field of daises beneath a radiant sun and deep blue sky. The whimsical-natured title track opens in a high register, dancing about melodically and gracefully. Conveying a warmth and joy throughout, it’s like pulling back the curtains first thing upon waking and letting in the morning sunlight. This positively peaceful mood continues into “Suite Wonder”, a gentler piece imbued with a sense of romance that touches upon cherished memories, and eventually finds its counterpart, “Wonder Suite”, further along the album. “Three Fairies” is a sweetly buoyant composition that easily paints a picture of an enchanted garden or magical world of childlike wonder and innocence. Subtly switching melodies about a third of the way through, it soon reverts back to its initial stanza, as it moves through the high and low registers of the piano. One particular highlight is “Variation on Chopin Nocturne”, a slower-paced number of a more classical fare that beckons a moment of pause to reflect and unwind. The rich and enveloping “Universe” is easily my favorite piece on the album and certainly the most intriguing. Sparse piano notes glide upon a constant flow of cascading keys like that of a bubbling brook, while radiating a constant stream of varying colors throughout. Perfectly timed at over seven minutes, the notably classical signature begets a perfectly understated yet riveting composition. “Raindrops in A Minor” is another favorite piece that seems to perfectly capture the beautiful mystique of a light rain-shower in the sunshine. Casting a welcomed bit of shadow, this lovely composition moves captivatingly through the registers with such grace, ease and fluidity. Next to the last track is “Celestial Sailing”, another favorite that moves along in a similar vein as “Universe”. Imbued with a heavenly aura, it feels like drifting away on a cloud while viewing a harmonious and paradisal world below. Likewise clocking in at over seven minutes, I especially appreciate when Christopher slips into this mode. “Be Happy” is the album’s final piece and gently imparts its simple message of hope and optimism. Graced with sentimentality, this soulfully elevating tune leaves the listener with an overall feeling of peace and renewal. For more information please visit the artist's website. This album is also available to purchase on Amazon, iTunes, CD Baby and Google Play. This review was originally published on Journeyscapes Radio on 07/11/16. Liza Carbe and JP Durand are perhaps best known as two of the co-founders (along with Jim Stubblefield) of the world-guitar band Incendio. 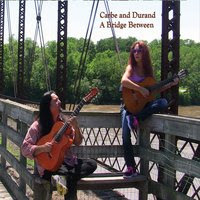 On the duo’s album A Bridge Between, Carbe and Durand offer up three original compositions plus ten cover songs of stylistically varied pop and rock classics that span several decades, rendering them entirely as solo acoustic guitar pieces. The album opens with the title track “A Bridge Between”, an original composition that strums along melodically in a joyful tone. This breezy and carefree tune is evocative of driving through the countryside in the open air with its overall Americana feel. The duo’s acoustic rendition of “Scarborough Fair”, a traditional English ballad made famous by Simon and Garfunkel, is one of my favorite pieces on the album which works particularly well here. Carbe and Durand have preserved the hazy mystique of the original composition while adding an extra dose of passion employed by lovely chord progressions and unique twists on the melody. 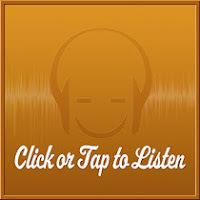 “A Thought for You” is both the fourth track on the album as well as the second original composition that seems to take the listener back on the road with its forward movement and outdoorsy appeal. One piece I found rather surprising as having been quite effectively interpreted on acoustic guitar is the Stevie Wonder hit, “Isn’t She Lovely”. Here the duo jazzes up the composition with a sophisticated allure that would deem it fitting for dancing under the moonlight to. “Mountain Song” is another one of the album’s three original compositions that bears an undercurrent of folk-rock and moves along at a melodic pace. Along with “Scarborough Fair”, the pair’s rendition of the Sting classic “Fragile” left me with the greatest impression of all. This song similarly works especially well as a solo acoustic piece, with its nocturnal romance and Mediterranean flair that would seem a fitting accompaniment for an evening at a quaint café. Lastly, the pair’s rendition of Ozzy Osourne’s “Crazy Train” makes for both an interesting album closer and follow-up to the former elegant composition, as the recognizably classic-rock tune jams along boldly and straightforwardly. This album can be purchased at Amazon, iTunes and CD Baby. This review was originally published on Journeyscapes Radio on 07/10/16. 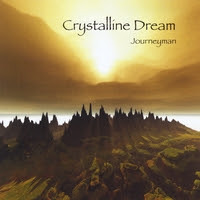 Journeyman is the follow-up release to Treshold from Crystalline Dream, where multi-instrumentalist Richard Ross provides a diverse array of keyboards, synthesizers, flutes and percussion. His talents are once again complimented by the acoustic and electric guitar contributions of Korey Ross, as well as those of Peter Phippen, who plays both Shakuhachi and Native American flutes. The sonic palette of this album is bolder and a bit more nocturnal than its predecessor, as the trio creates blissfully meditative soundscapes throughout the ten compositions on this forty-eight minute sojourn. “Journeyman” opens with shimmering tones and distant drones accompanied by a gentle flute melody. As if emerging from space and descending the earth, spiraling textures coruscate among spacious and subtly eerie timbres that eventually dissolve into darkness. Leading us into “Serenity”, washes of synthesizers create a sonic immersion where everything feels suspended in slow motion. Initially beginning in a darker motif, “Robin in the Wind” soon morphs into a brighter piece laced with Celtic nuances, as the enchanting sounds of flute, strings and chimes create a dreamlike haze. An Eastern mystic vibe characterizes “Shadowlands” with its entrancing gong and exotic flute; it’s seemingly evocative of everything I’d envision the mythical kingdom of Shambhala to be. Gently picking up the pace a bit is “Lady of the Meadows”; this piece offers a touch of both Celtic and East Asian sensibilities, as dual melodies of flute and guitar create a beautiful simplicity throughout. The mysterious “Vassillia” is easily my favorite piece on the album, bearing an overall sacred semblance that seems to conjure images of a temple hidden within the forests. This composition features an evocative fusion of guitar and synthesizers with an array of gongs, cymbals and exotic percussion. “The Far North” imparts the essence of tundra regions with is colder airy timbres, while “The Gloaming” offers a warmer atmosphere guided by ethnic percussion. Brighter tones and spatial drones lend a celestial touch to the aptly named “Drifting” for awhile, before a reprise of the opening title track carries the listener away to an idyllic abode among the clouds. For more information please visit Threshold Studios. This album can also be purchased at CD Baby, Amazon and iTunes. This review was originally published on Journeyscapes Radio on 07/03/16. 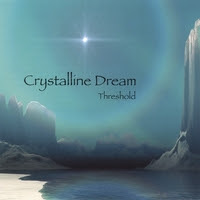 Threshold is the debut album from Crystalline Dream, a meditative musical project by multi-instrumentalist Richard Ross. Comprised of eleven tracks spanning fifty minutes, Richard provides an array of flutes, chimes, gongs, Tibetan prayer bells, piano and synthesizer, as well as percussive instruments. Musician Korey Ross also lends touches of both acoustic and electric guitars. “Threshold” opens the album with low drones and velvety tones, creating a spacious atmosphere full of warmth and light. Subtle shades of pastel are further colorized by gentle flute and chimes, as faint angelic voices emerge forth like sunlight peering through a morning fog. This paradisal quality continues into the next track, "Ethereal Gauze", a mysterious piece characterized by gentle bells and electro-organic textures which evoke the quietude of nature. "Solar Flight" employs gentle keyboard textures, sparse melodies and relaxing drones, as gauzy timbres impart an ethereal quality alongside the composition's more grounding tones. "Evensong" possesses both an underpinning of Celtic nuance and Eastern mysticism, accompanied by subtle chimes, melodic flute and minimal guitar strokes. Harp sounds also lend a Celtic whim to "Inner Peace", a composition that imparts a sense of fantasy wrapped in pure peace. My favorite composition on the album is perhaps "West Wind", where shimmering gossamer textures seem to mimic a light rain-shower as the breeze of a flute dances about like leaves in the wind. A three-part medley ensues, beginning with "Crystalline Dream 1", which opens with the sound of meditative gongs. The mood brightens a bit on "Crystalline Dream 2", with its delicate bells and softly emerging synthesizers conveying pastoral images of natural landscape. Darker tones emerge on "Crystalline Dream 3" along with the added touch of an exotic flute, conjointly alluding to a sacred temple hidden deep in the mists. Another personal favorite is "Borealis", where Tibetan bells and rain-sticks are accentuated by dual flute melodies. Closing out this peaceful journey is a reprise of "Threshold", which concludes the album in an uplifting spirit of subtle motion like clouds moving slowly across the sky. For more information please visit Threshold Studios. This album is also available at CD Baby, Amazon and iTunes. This review was originally published on Journeyscapes Radio on 07/01/16.